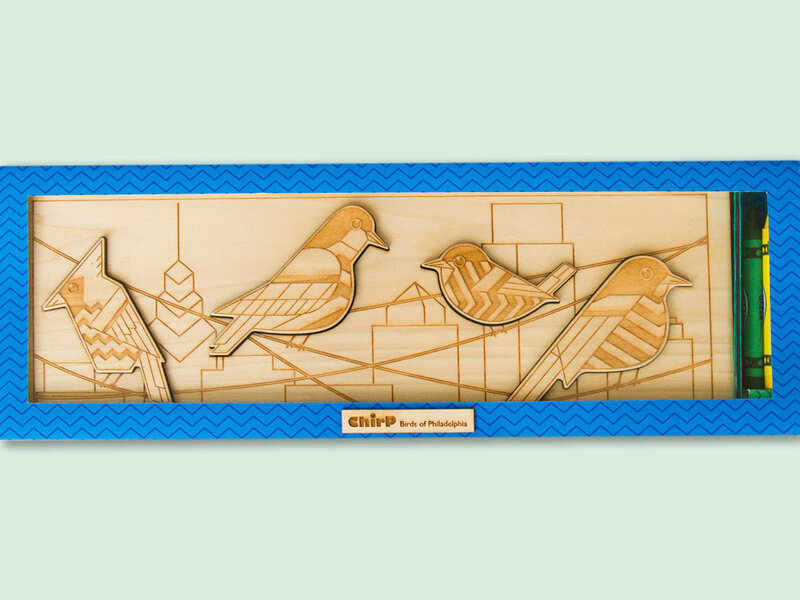 Chirp is a puzzle that is designed for children to help them learn about some of the more common birds that are found in Philadelphia. 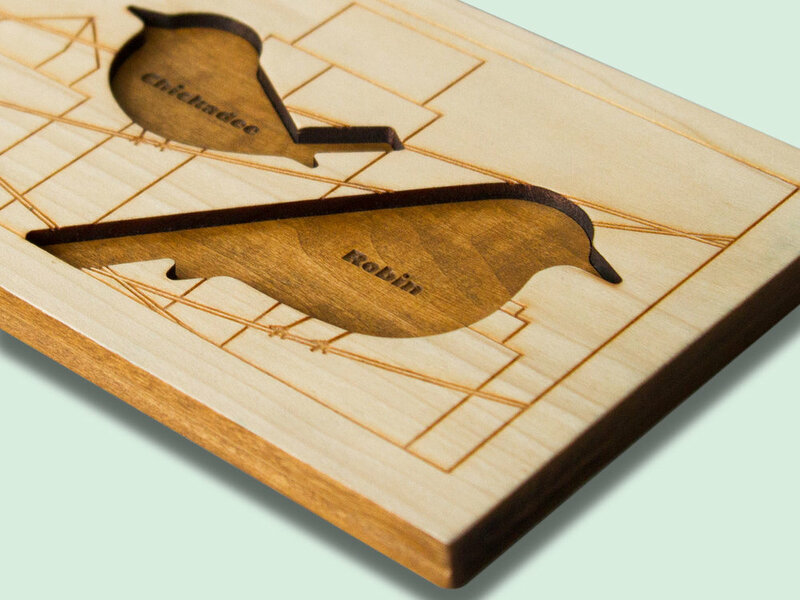 The puzzle is laser cut and etched, with a beeswax and mineral oil finish, making the pieces soft to the touch. Inside of the box, you'll not only find the puzzle, but an outline of the design for children to have a creative, coloring experience.